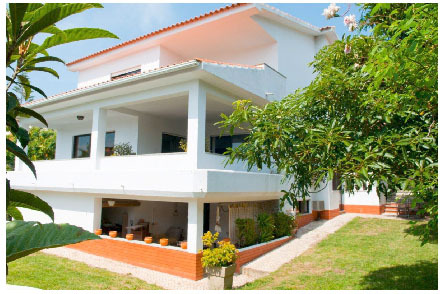 Substantial detached house in quiet and sought after residential area of Cascais. This property is situated on a small travessa with easy access to Cascais centre as well as the beaches and A5 motorway. The property comprises of over 400 sq meters over 3 floors. The top floor consists of 4 double bedrooms, 2 with en-suite bathrooms and one more family bathroom. The main living floor has a large dining kitchen with doors onto a covered terrace and barbeque area leading out to the garden. The hallwall leads to a large living room with covered terrace. There is also a bathroom and separate maids quarters or office. The lower floor has a large open plan living area with 2 further rooms and another bathroom. There is a door leading onto another covered terrace and out to the garden. A private and mature garden surrounds the house with a good deal of both sun and shade. 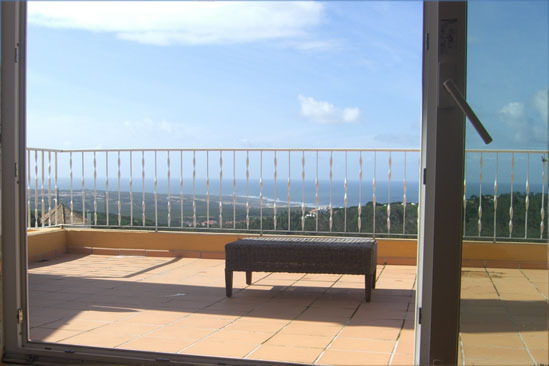 Excellent quality, unfurnished four bedroom house for rent in Malveira da Serra, near Cascais and Sintra, Portugal. Magnificent view of the ocean, beaches and mountains. Garden with pool, basketball court, garage and outdoor parking space.